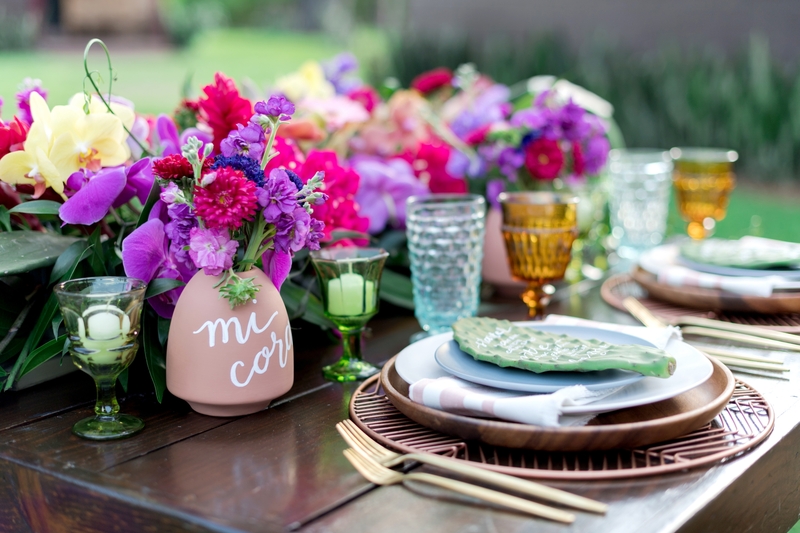 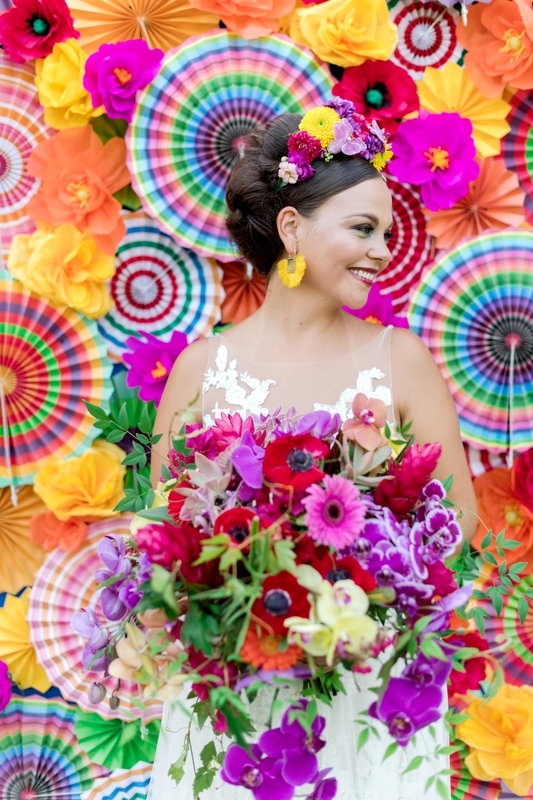 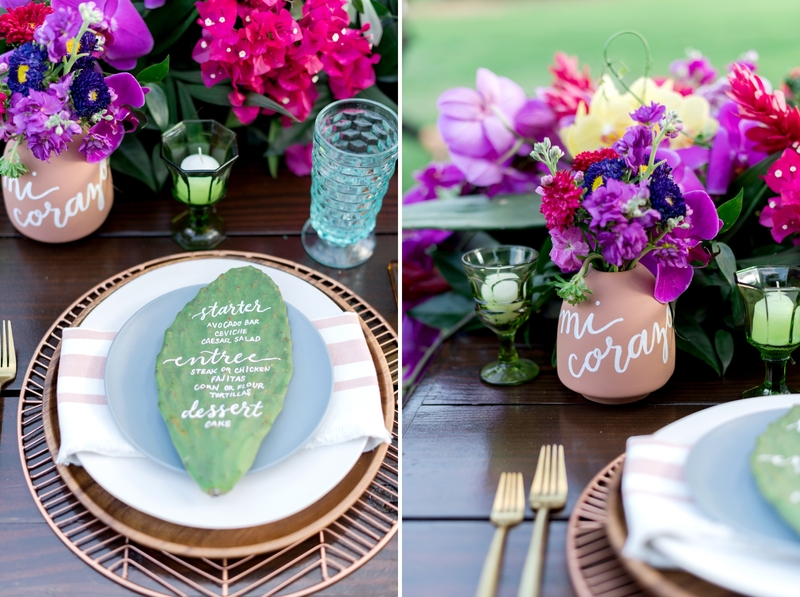 This breathtakingly bright, tropical wedding design is our ‘Vision of Veracruz’! 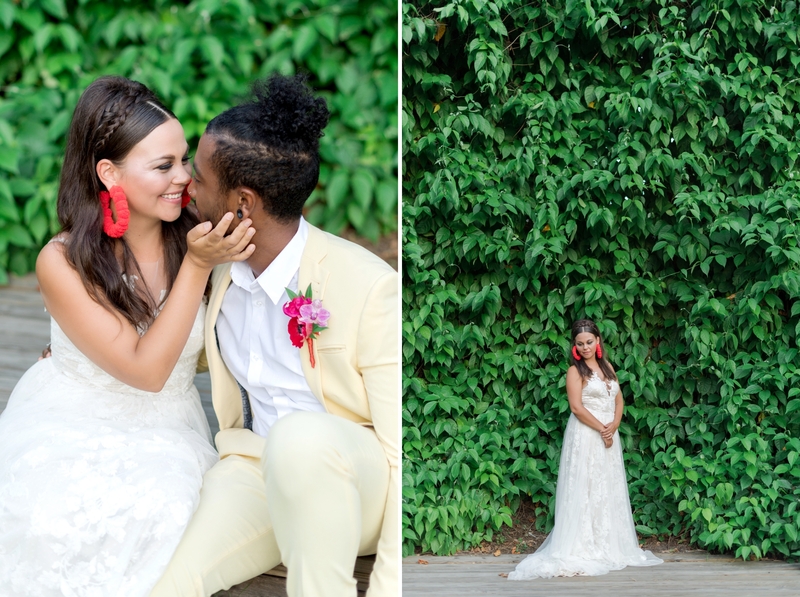 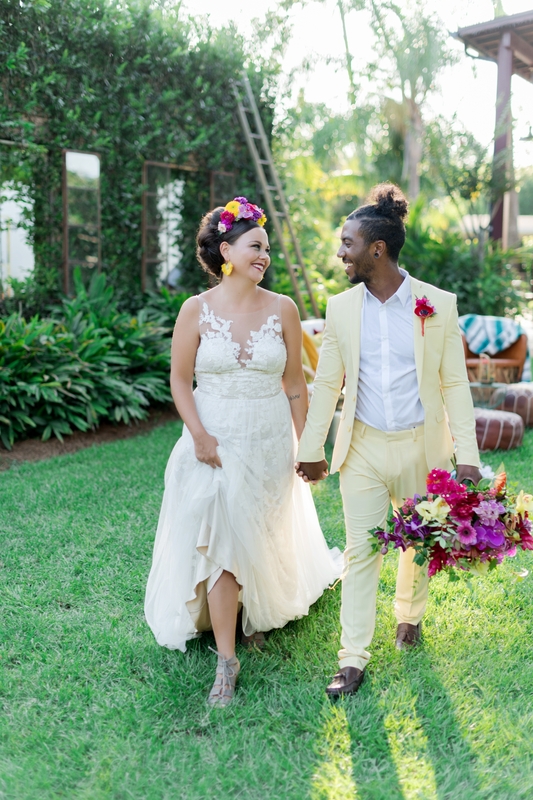 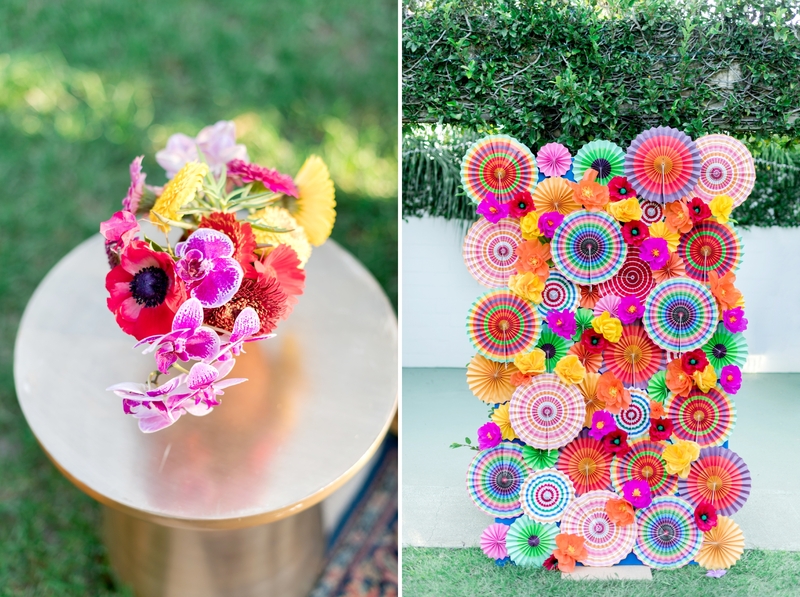 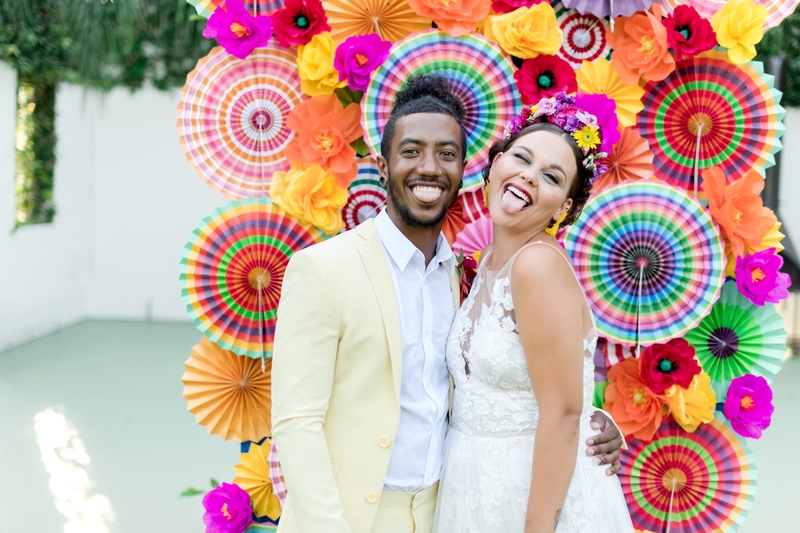 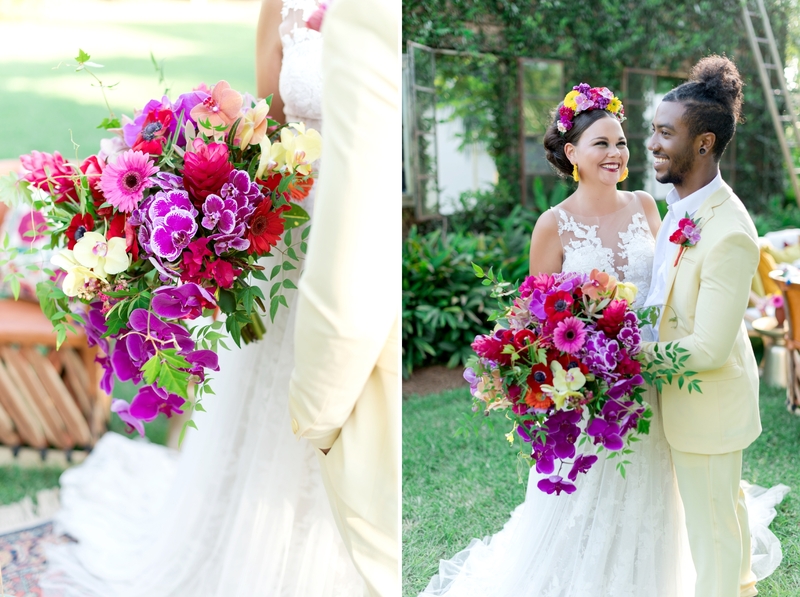 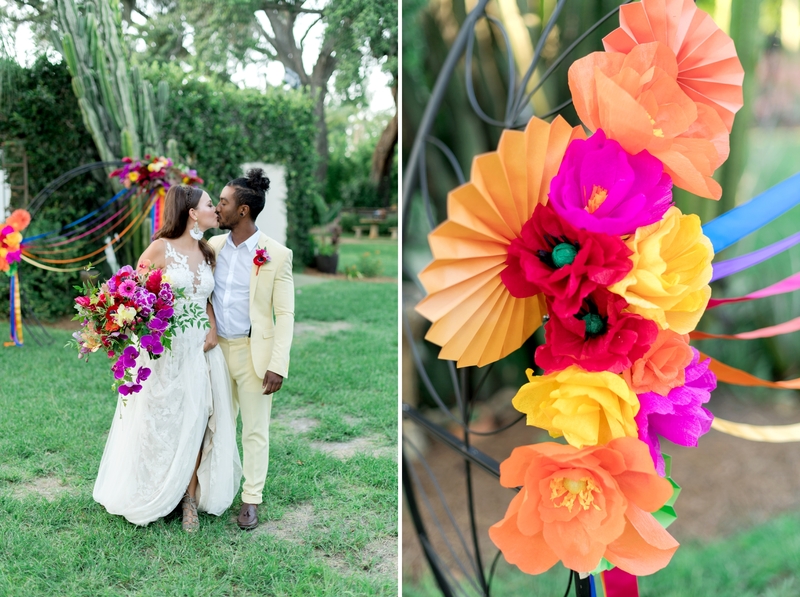 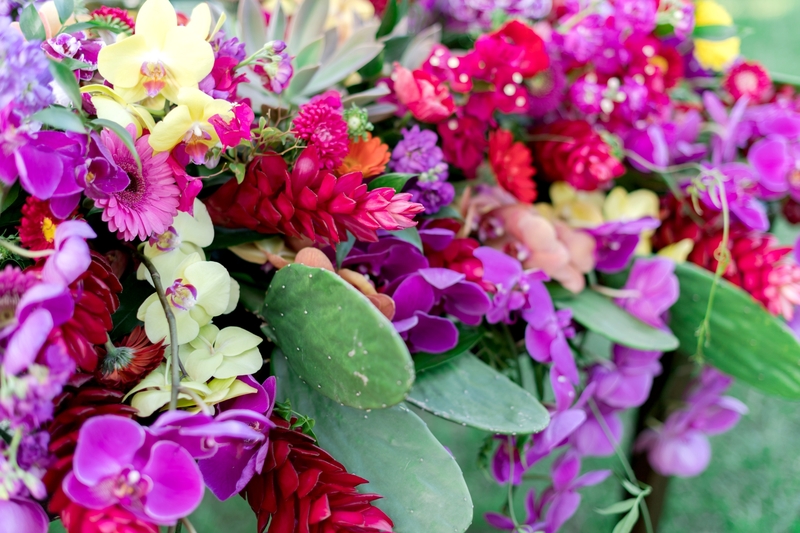 We summoned the relaxed casual elegance of a Mexican wedding with beautiful colors and blooms. 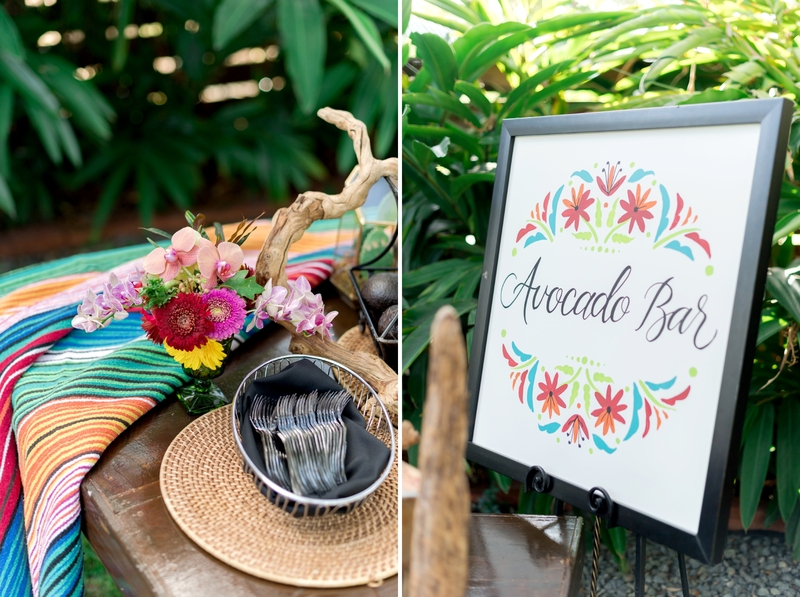 Handcrafted flowers created from specialty crepe paper sourced in Mexico, an Avocado bar and churro cupcakes brought our vision to life! 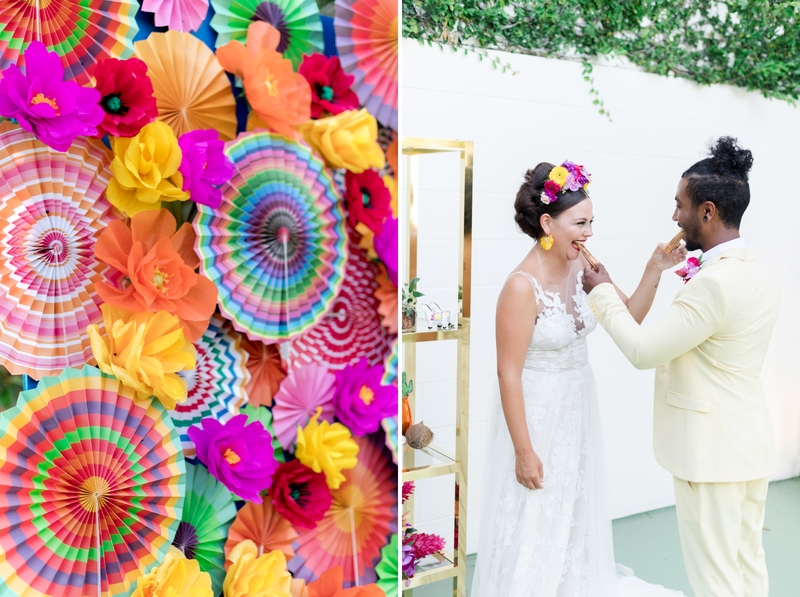 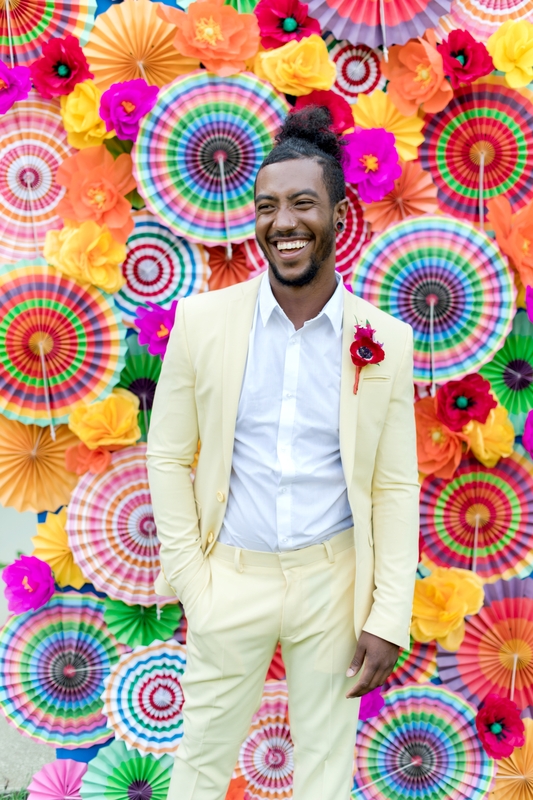 When we first started planning a styled shoot for the summer, we knew we wanted to create something bright and tropical. 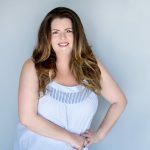 The team from Beaute Speciale originally reached out and asked to collaborate. 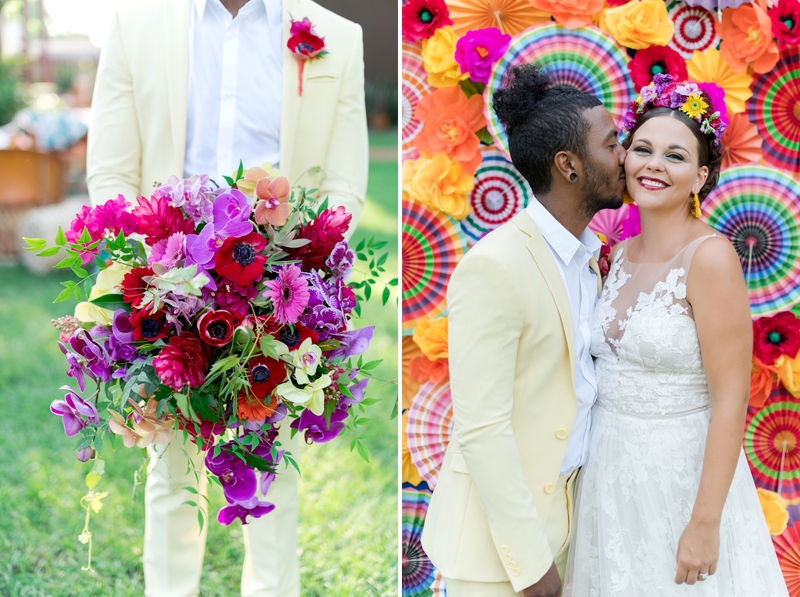 They had the idea to pull from a Frida Kahlo inspired theme! 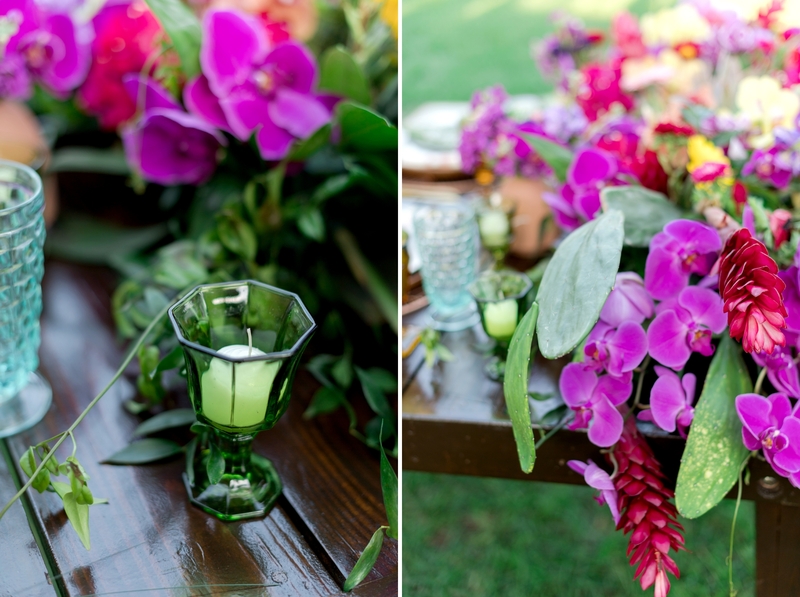 Blending the 2 concepts was exactly what we needed to execute this stunning design! 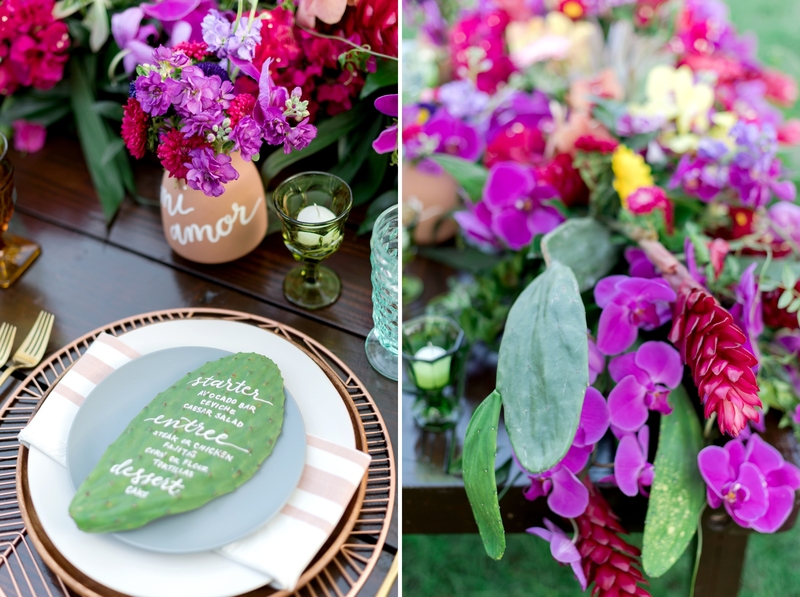 We have so much to share from our tropical wedding inspiration! 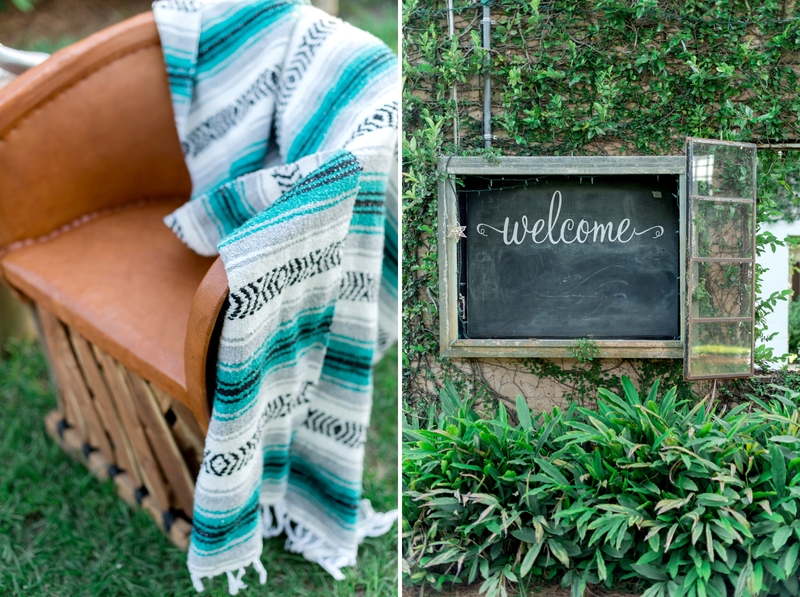 Keep reading to find out where more of our style and inspiration came from! 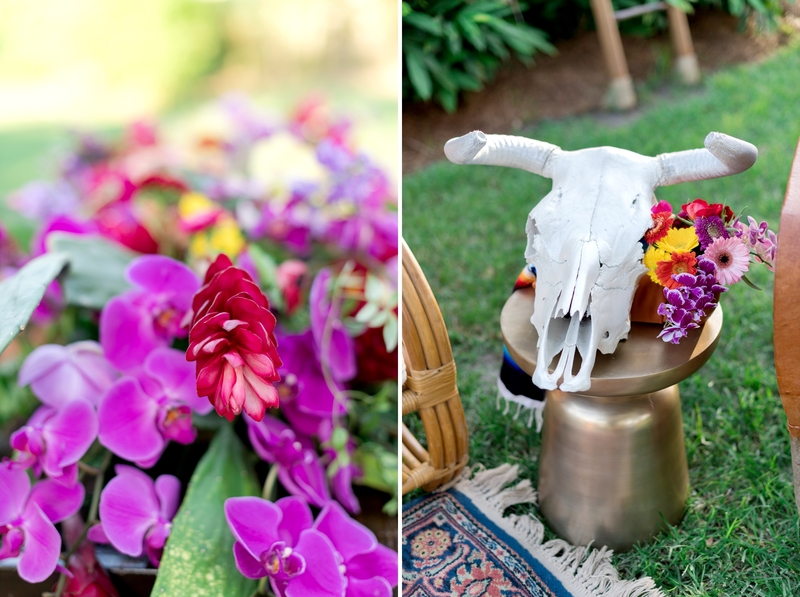 Since we weren’t focusing on a full reception design, we wanted to highlight this lounge area. 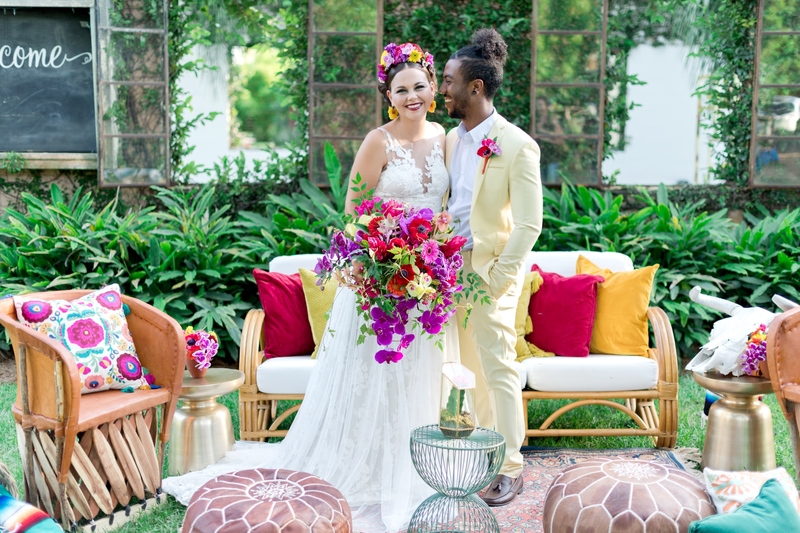 We’re seeing more couples go for a relaxed lounge area at their receptions. 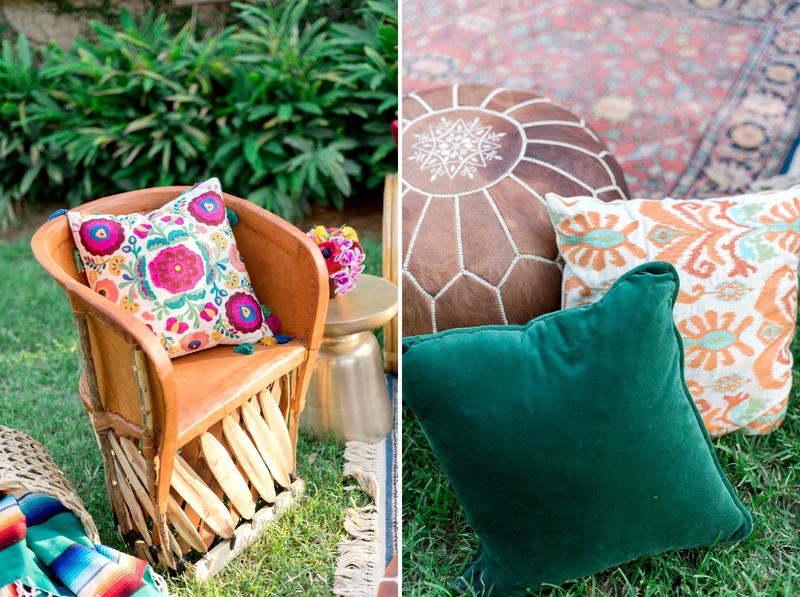 This way, guests can sit back and relax during the festivities! 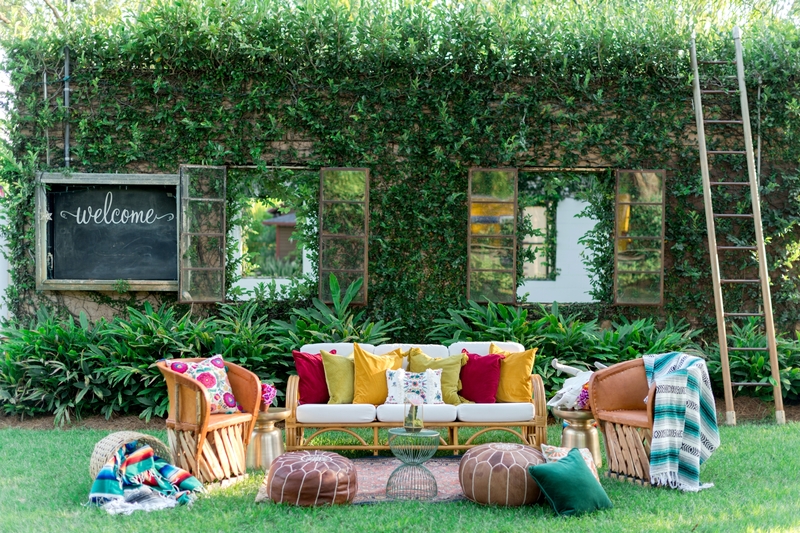 The team from The Reserve Vintage Rentals styled this incredible lounge for us to photograph. 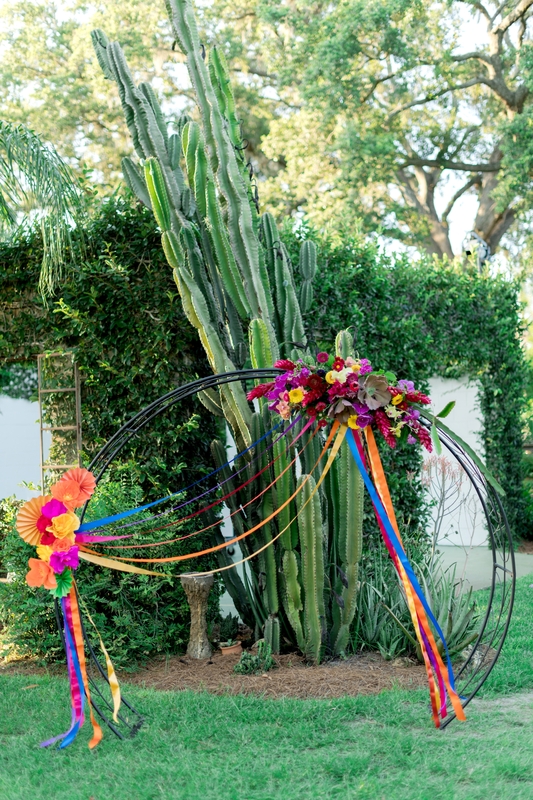 The ceremony arch was a labor of love created by Reserve Vintage Rentals and Raining Roses Productions. 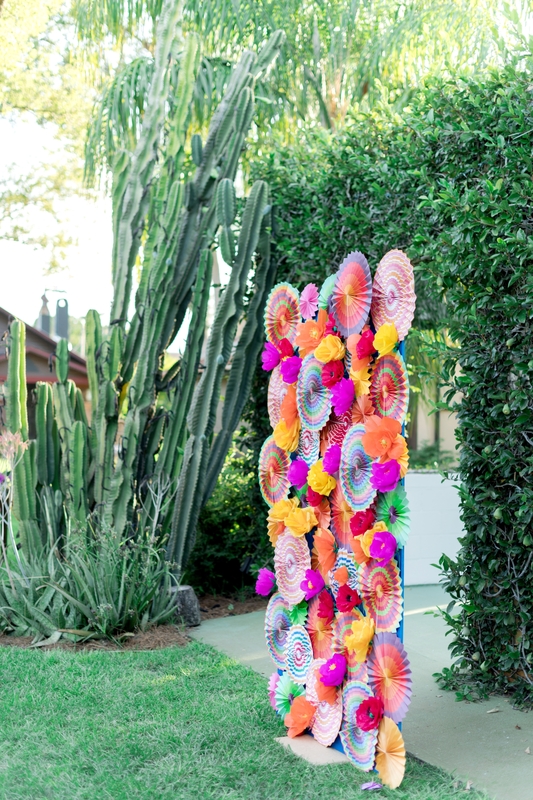 The paper flowers were made by hand from crepe paper sourced in Mexico. 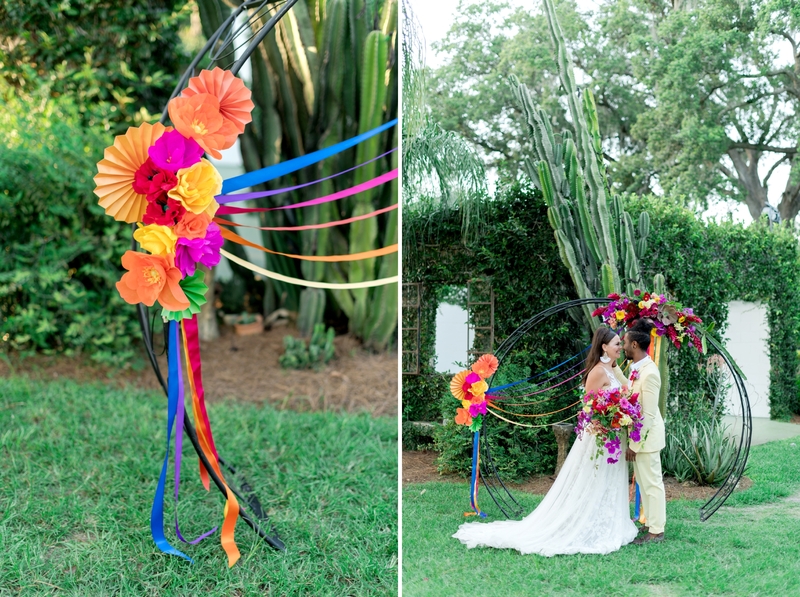 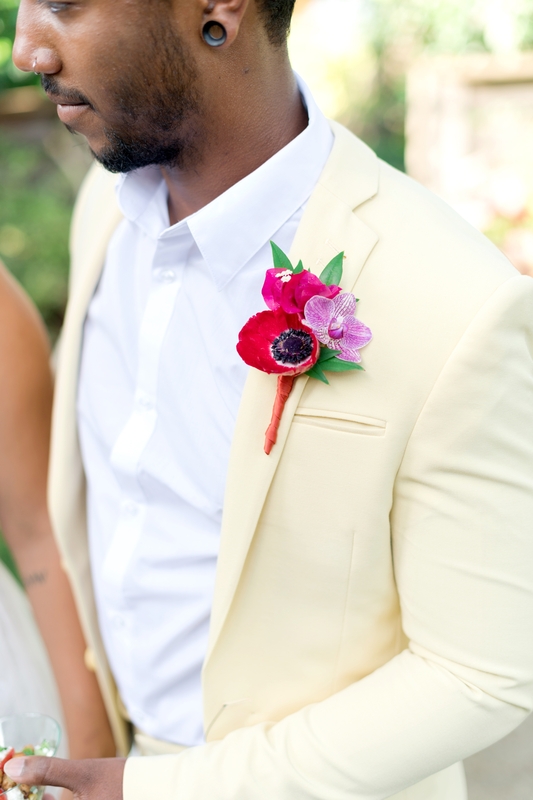 The silk ribbons in bright colors added a beautiful touch – especially when a slight breeze would come through! 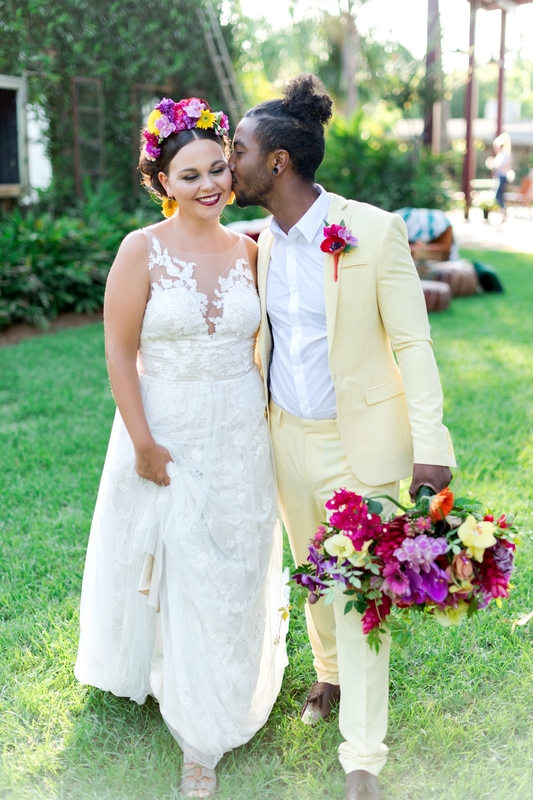 The Bridal Finery found this stunning Theia Couture gown for our bride, and the earrings and groom’s suit were all sourced from ASOS. 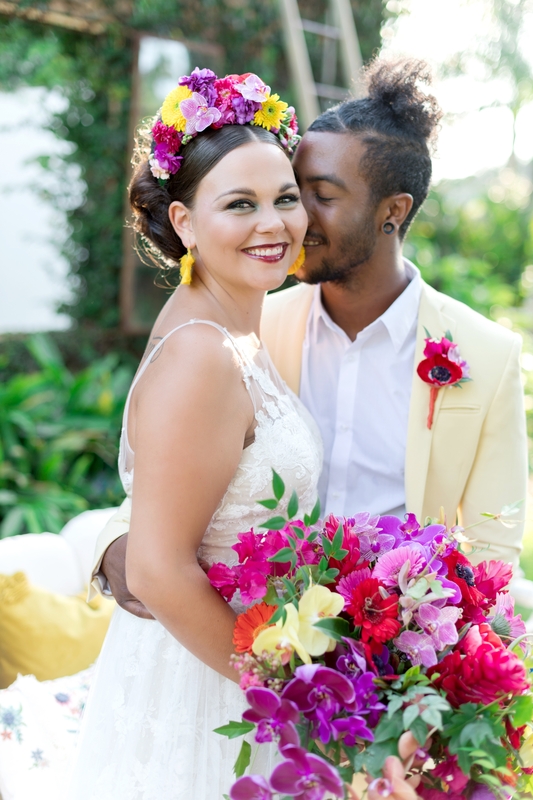 Raining Roses created our bride’s stunning flower headpiece, and the team from Beaute Speciale put together a sixties inspired look for the bridal hair and makeup! 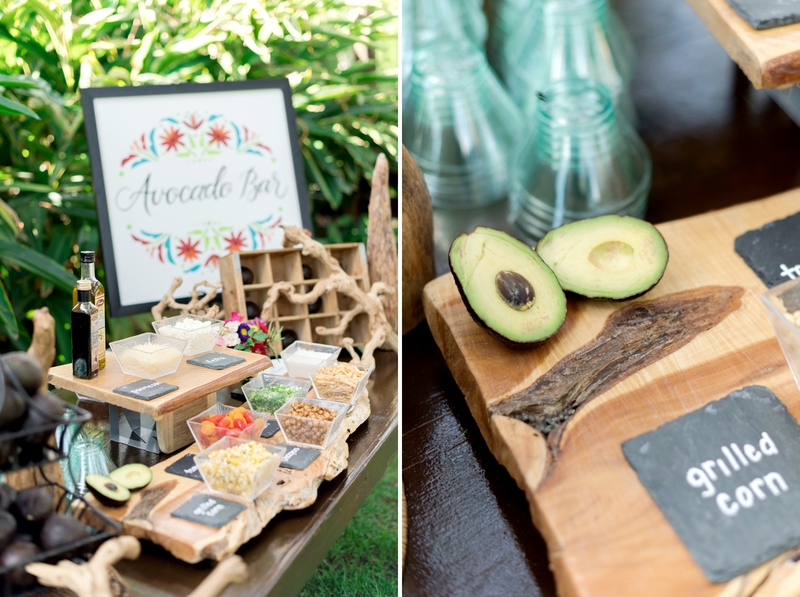 Arthur’s Catering came along to showcase their Avocado Bar – a recent top-pick from couples! 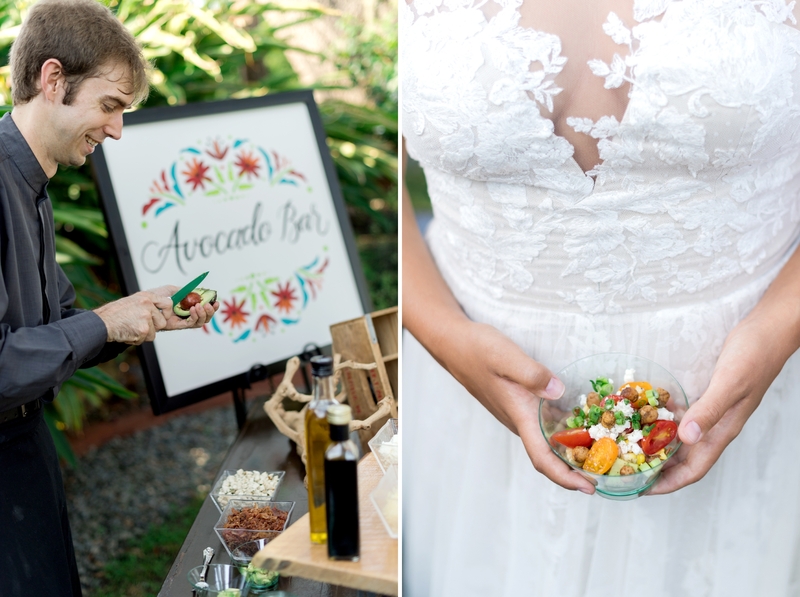 Set up during cocktail hour or reception, guests are treated to fresh avocado and they can add all their favorite toppings! 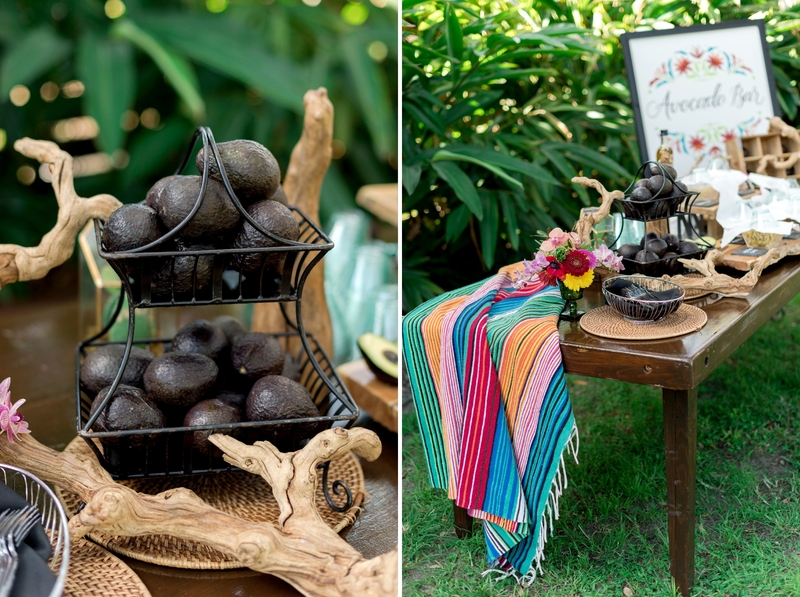 We love how to avocados are cut and scooped right in front of you! 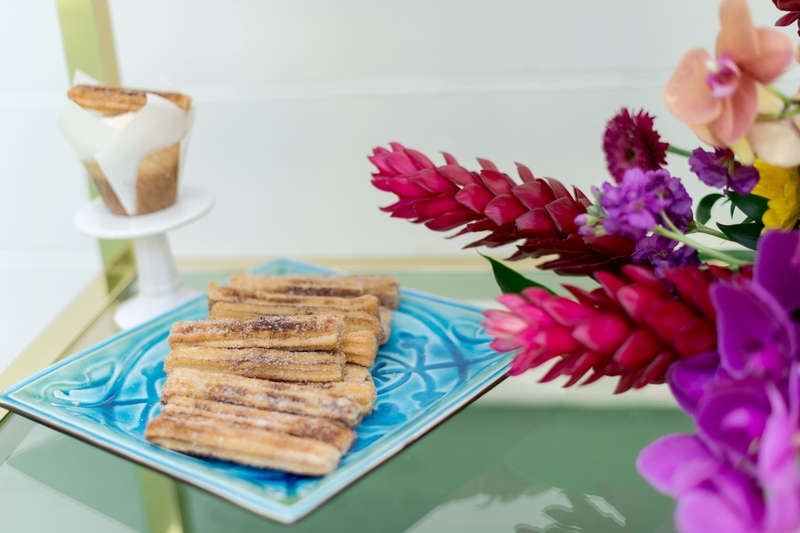 And of course, we all got to indulge after the shoot was done! 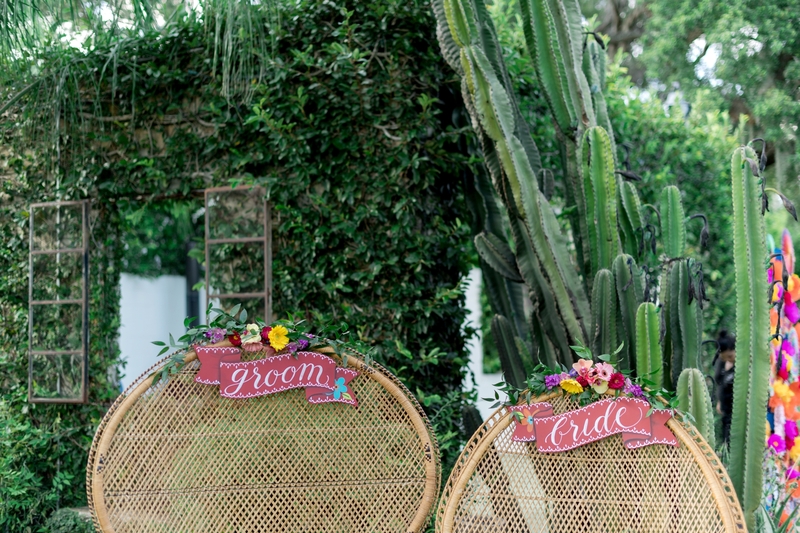 Tricia Seachrist Designs created these gorgeous hand-written Bride and Groom banners for the sweetheart table. 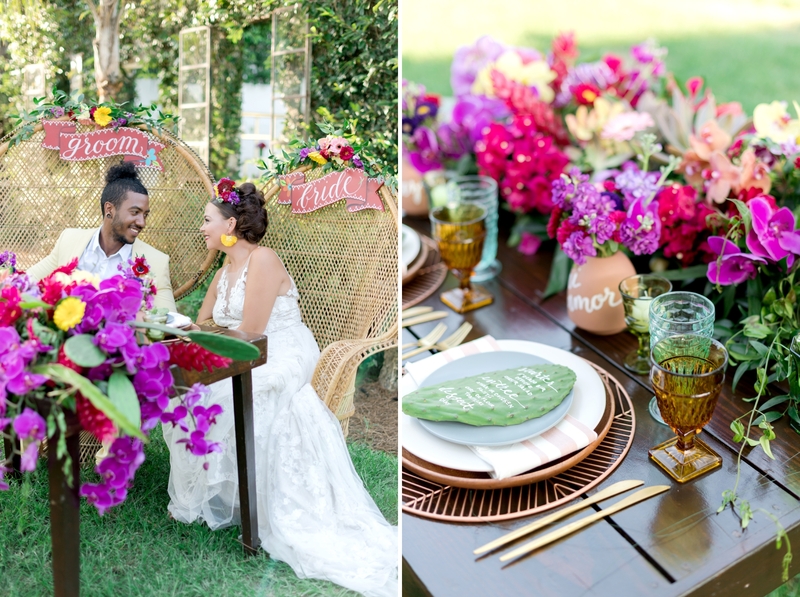 And we used giant “Peacock Chairs” with a table full of floral! 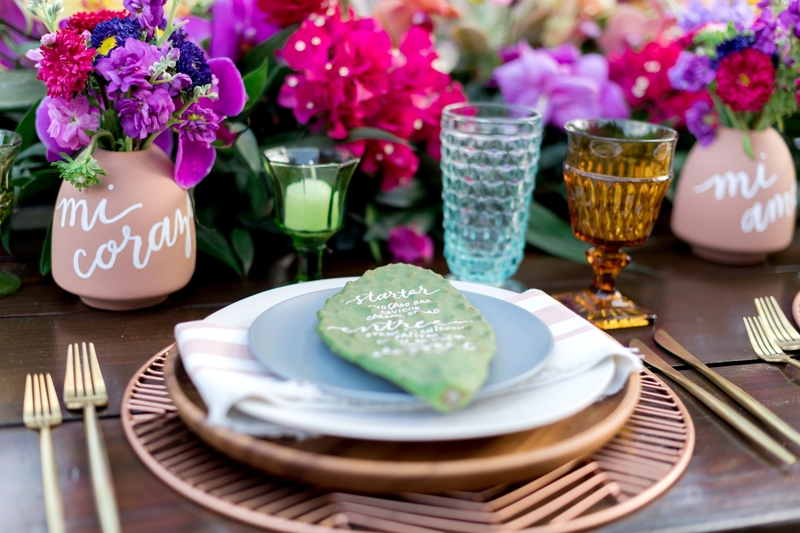 Emily from Treasury Rentals brought gorgeous vintage table settings in mixed metals and glassware in greens and browns to accent the tables. 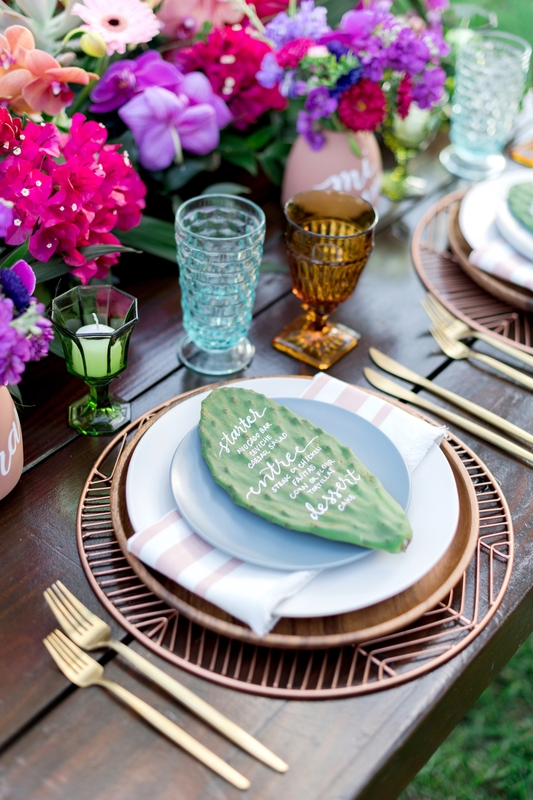 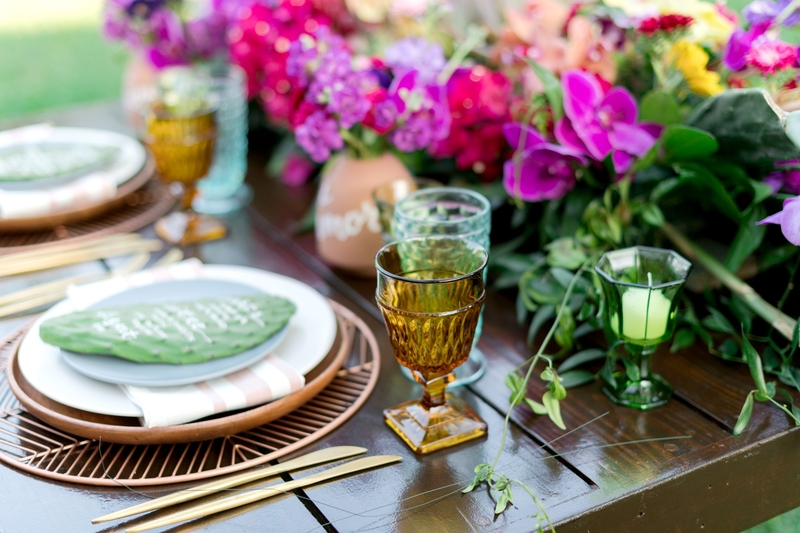 We love the wood plates and rose-gold geometric chargers, and striped napkins she put together for the head table! 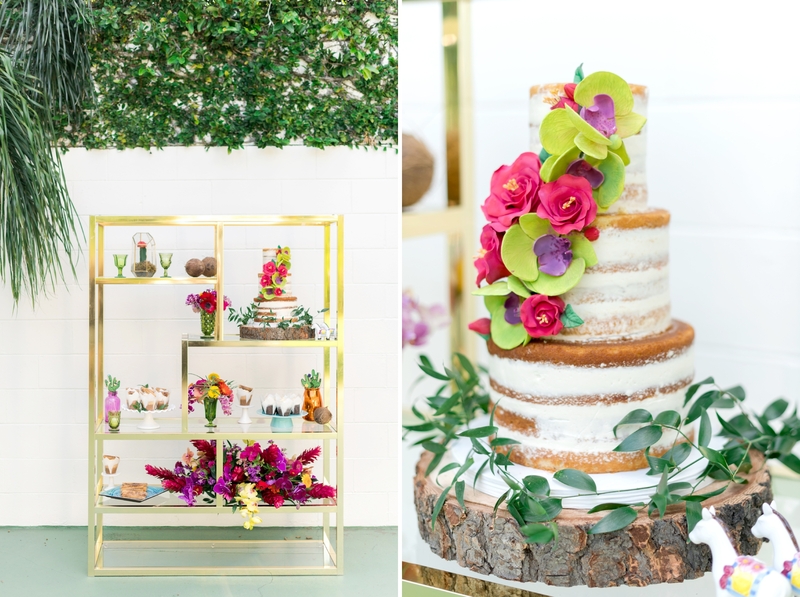 Nicole from Florida Sweets & Co brought the most incredible collection of sweets! 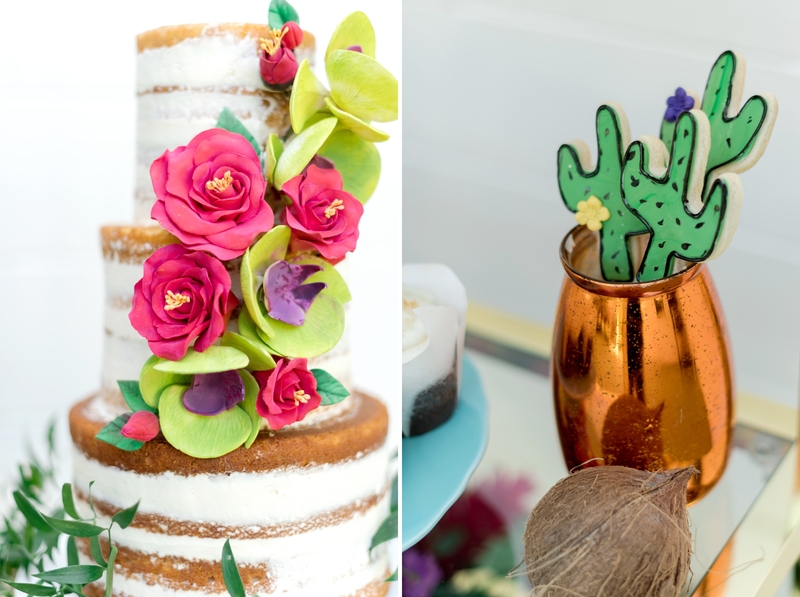 Starting with a Cinnamon swirl and caramel naked-cake with edible flowers, we also had churro cupcakes and cactus cookies! 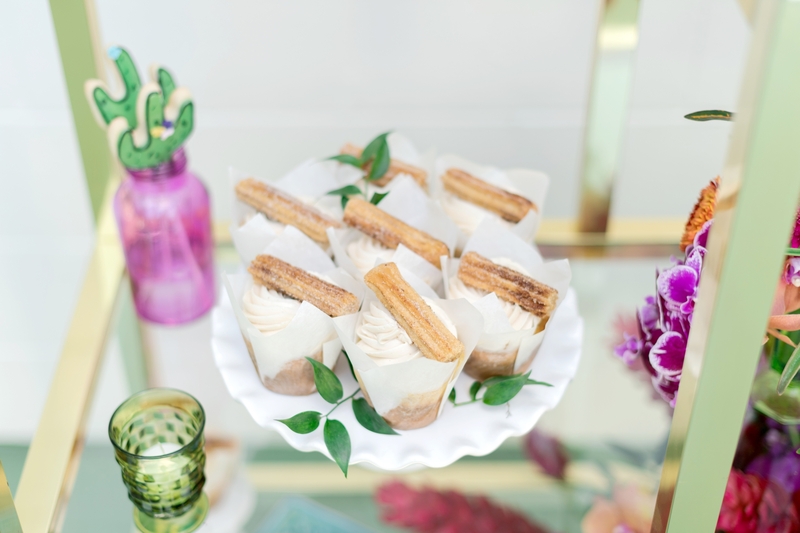 Also, we ate all of these after the shoot. 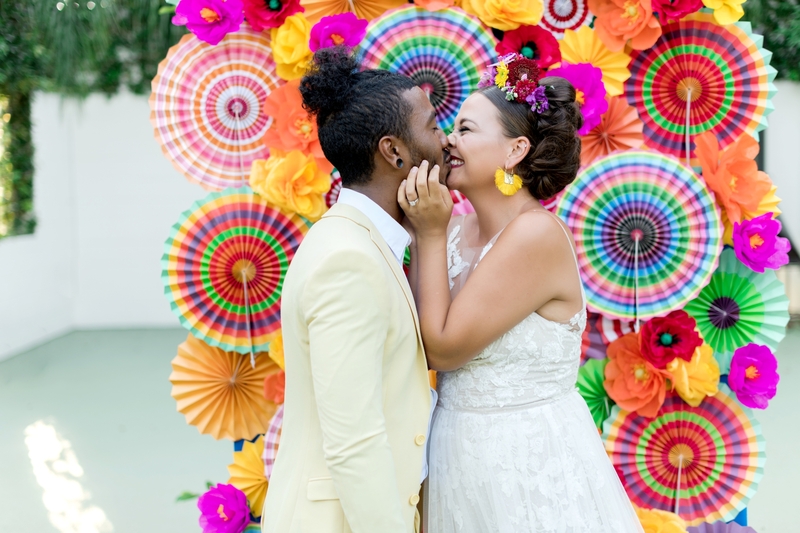 And I can’t properly share this inspiration shoot without mentioning the amazing photo booth backdrop that Jesus and Walter made (from Raining Roses Productions). 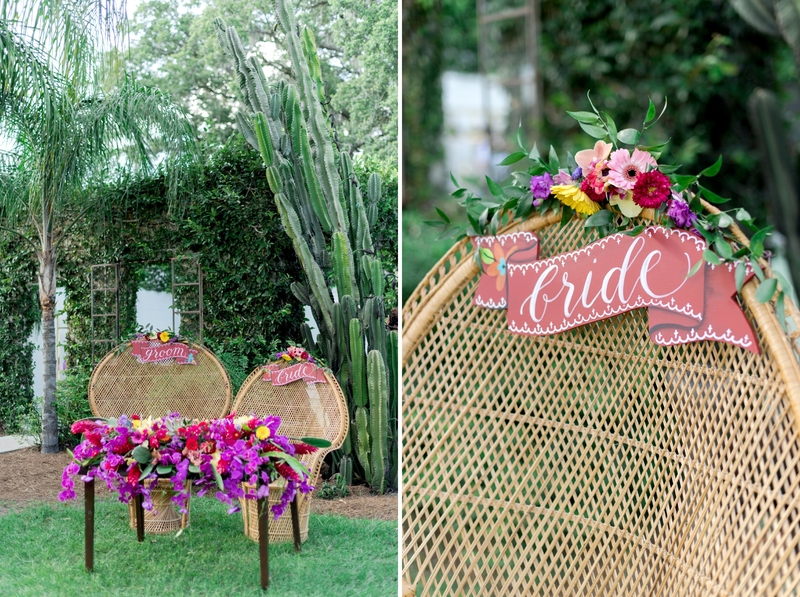 We found a lot of inspiration for the shoot with these incredible floral wallpapers and graphics, so we knew we wanted to incorporate that somehow in to either the ceremony arch or a photo booth backdrop. 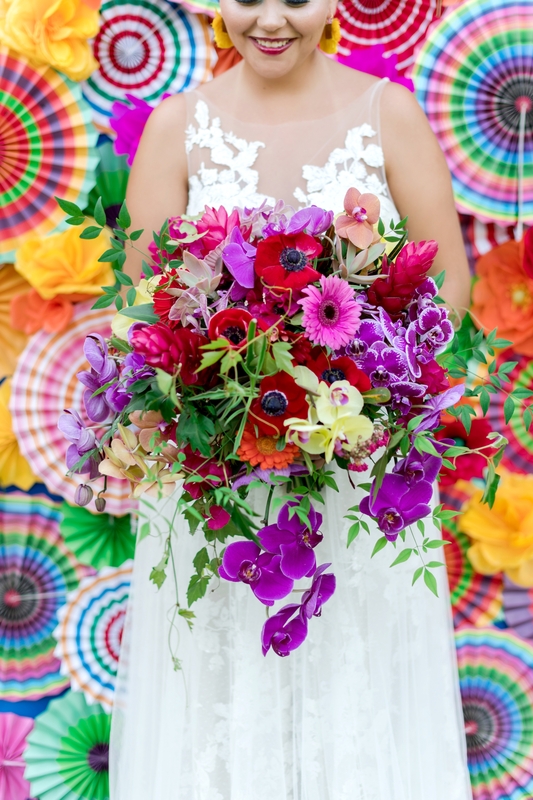 When we showed up at the shoot, we saw the most incredible hand-made backdrop ever! 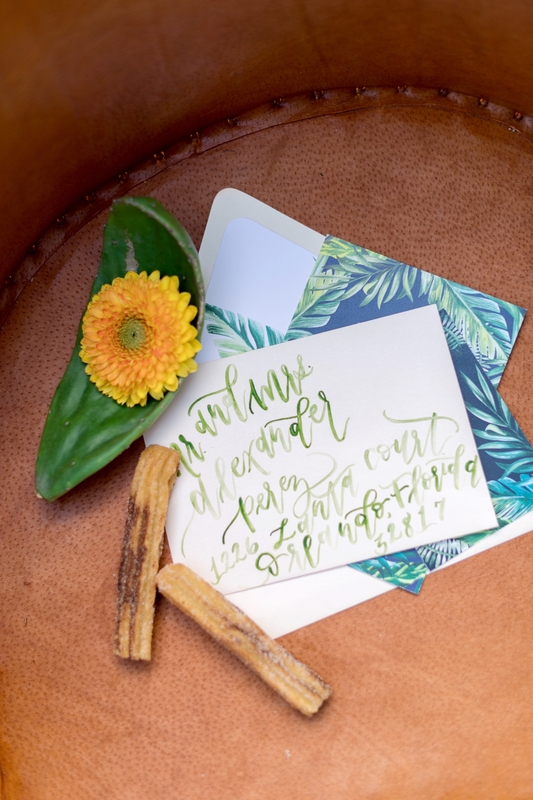 They sourced all the paper from Mexico to give it a truly authentic feel. 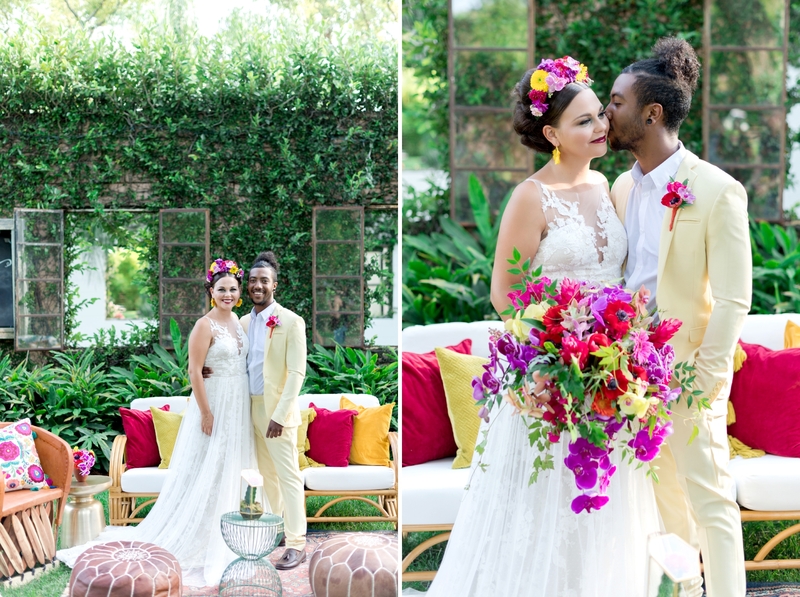 And of course, behind the scenes we couldn’t have put this all together without the team from AATR Weddings! 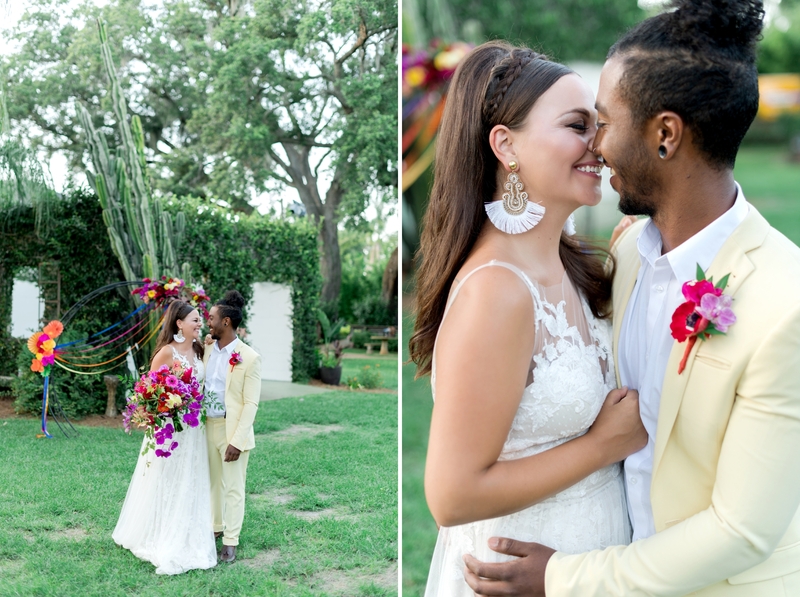 They helped plan and coordinate every element of the day! 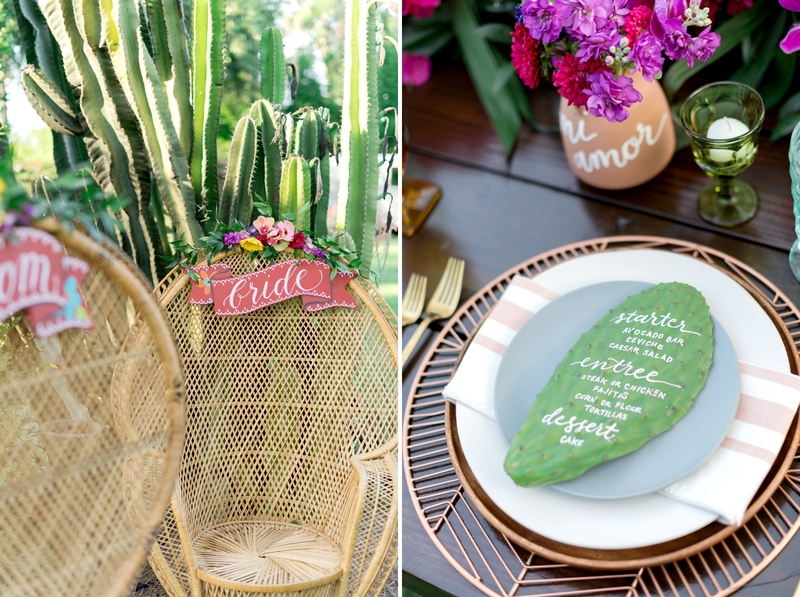 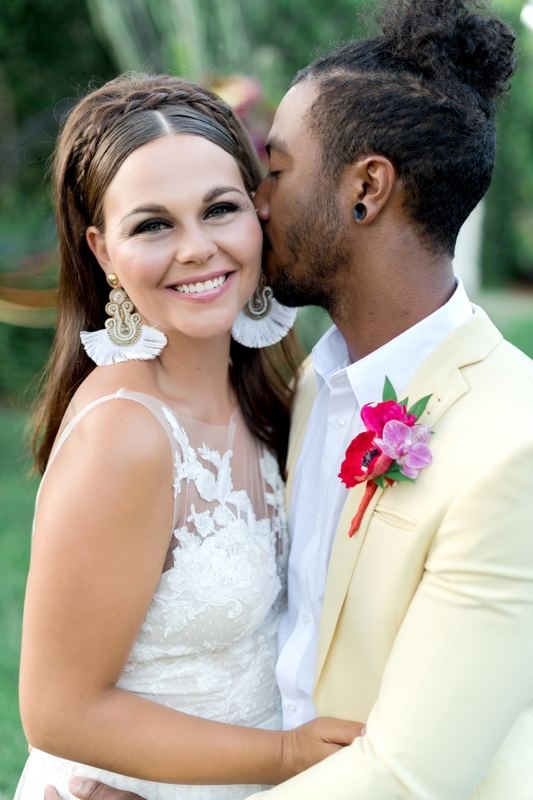 So glad to have them back to help us with our Tropical Wedding inspiration!